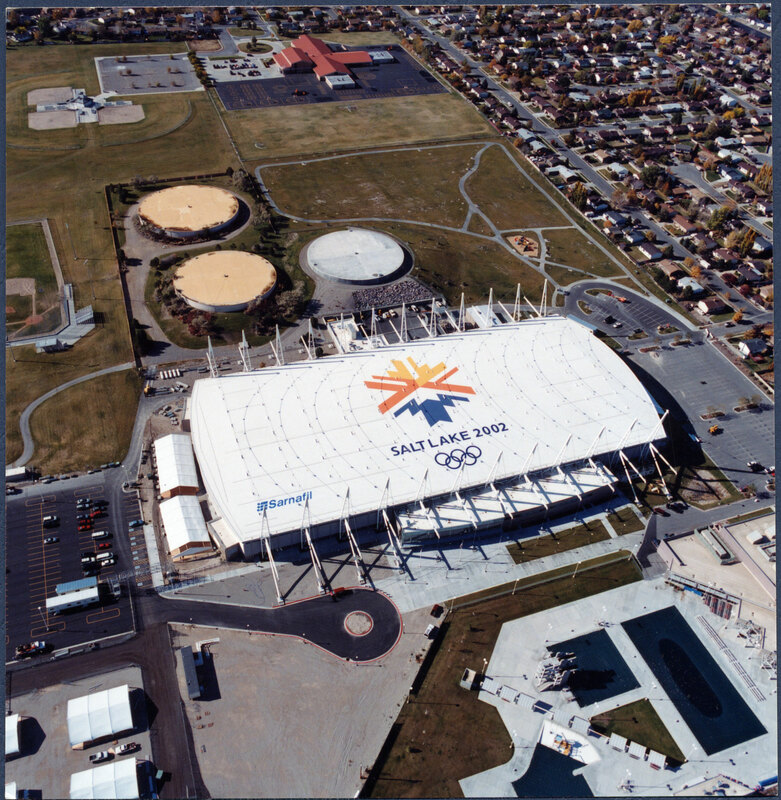 CQR worked with the Salt Lake Organizing Committee for the 2002 Winter Olympic Oval and Layton Construction, the general contractor for the project, to install the roof for the games iconic speed skating venue. Lightweight roof coverings were needed that would be able to withstand varying weighted loads of cables that supported the roof structures, including cable attachments, suspension towers, and snow retention guards. This project required timely completion within tight schedule constraints. Fade proof applications of the multi-colored 2002 Olympic Winter Games logo with high resolution integration into the roofing system was also mandatory and made what became one of the most iconic facilities of the 2002 Olympics. CQR project teams chose to partner with Sarnafil Inc.. the worldwide industry leader in providing polymer-based waterproofing systems, for their extensive experience in innovative stadium designs. Together, they worked with Layton Construction Company and the architecture firm of Gillies Stransky Brems Smith (GSBS) to render designs for this technological advanced project. Challenge #1 – The inability to attach membrane directly to the flexible cables. The cables were attached above the roof to a vertical metal plate. Plates were fitted with custom horizontal metal shields. CQR’s design team then constructed a box below the hood. The membrane attached to the box, allowing flexible cables which adhered to very strong metal plates. Challenge #2 – Attaching the membranes to the rigid suspension towers. Combining clad sheet metal drip edges with surface-mounted counter flashings. This worked perfectly to solve the architectural challenge. For even more stability, 1/2″ stud plates were attached to structural supports which added additional strength. Challenge #3 – Ensuring heavy loads of snow would slide off the roof. Clark’s designed a clever snow retention system, anchoring angled facets to the steel deck and integrating them within the membrane roofing system. Challenge #4 – Manufacturing and installing the 2002 Olympic Winter Games logo. CQR worked with Sarnafil to determine the exact colors required to match the Olympic logo. Membrane was delivered to the premier graphics design company Panotones Inc for markings, which was then installed by CQR’s skilled team for precision. 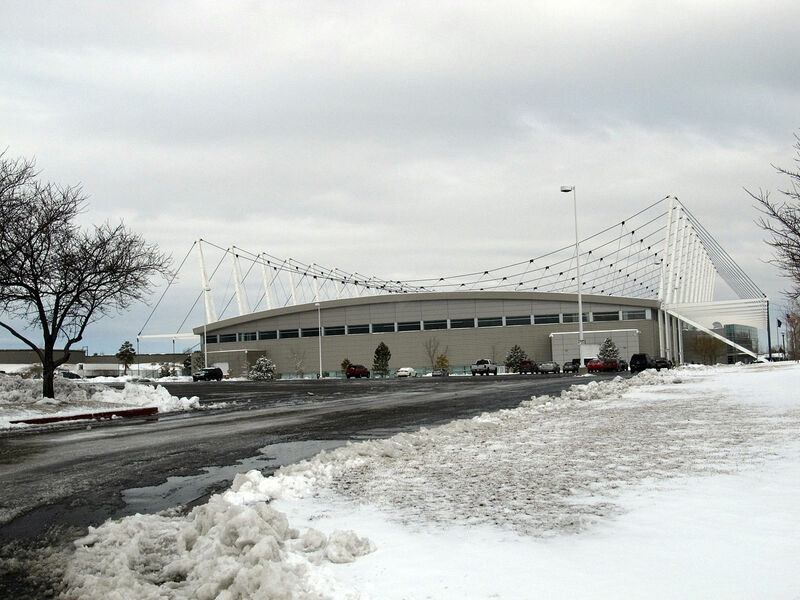 The 2002 Winter Olympic Oval building has become one of the most iconic buildings of the 2002 Winter Olympic Games thanks to Clark’s Quality Roofing.